Carol has always been health conscious so she was surprised when diagnosed with asthma at the age of 42. How or why did she develop this now? She was aware that her Grandmother had died from asthma at the age of 55 years, however; the only respiratory issue that had been a huge nuisance for Carol for many years was allergies. She wondered what was different about her now than a month or a year ago when she was not afflicted with asthma. She came to realize that her breathing was what was different due to her hectic lifestyle. Carol felt she could not change the world with its unlimited triggers for attacks but she could change herself. Carol Baglia was very busy as a volunteer, entrepreneur and mother of three teenagers. Extreme prolonged stress had pushed Carol to asthmatic attacks. She refused to accept the answer that her physician offered to deal with the disease. The medications prescribed made her feel worse than the symptoms. The cost of the drugs and side effects were also a concern. She searched the internet for solutions and discovered the Buteyko program. The physiology explanation made sense. She decided to travel to attend a workshop and learn the breathing techniques. Her health improved so dramatically from practicing the Buteyko Breathing Method that it inspired her to change careers and share its benefits with others. She became certified to teach the method by the Buteyko Institute of Breathing and Health (BIBH) in August 2003 after extensive training by Jennifer Stark, author of The Carbon Dioxide Syndrome book. 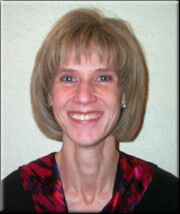 Carol has also obtained licensure, certification, and registration as a traditional respiratory therapist. She graduated with honors from college and was awarded the Outstanding Respiratory Therapy Student in 2004. She also attended advanced training with Patrick McKeown (Ireland, 2009) and Masha Anthonissen-Kotousova (Netherlands, 2006) who are both authors of Buteyko training manuals. Carol is passionate about letting people know that they have options available to them in responsibly managing their respiratory health care. Buteyko works if you just DO IT. Carol is recognized as a Buteyko Breathing Educator Trainer by the BBEA.